This morning, as Friz and I made our way to the woods just before sunrise, I could smell the dampness in the air. It was coolish…our nights have had lows in the twenties this week. It seemed as I walked, that I was walking in slow motion. The trees were stark looking against the dark morning sky. You could smell the earth going dormant with every footstep. As I looked around me, I could see the toll that the below freezing temperatures had taken. Rose bushes and plants had that wilted and defeated look about them. I could tell that the Goddess was preparing for her winter’s death-sleep. The crows have been more prominent lately. My partner told me the other day that he watched as a crow flew above him with a McDonald’s bag with two other crows on his tail. He asked me what the significance of this was. I was at a loss. I said, “He was hungry?” He was not amused. The sad thing is that the poor crow dropped the bag and the two hamburgers he managed to pilfer fell to the ground and the other two crows attacked them ferociously. Although I follow the path of the Morrigan year-long, I know that in these months that the world grows darker that she is more prominent. The Morrigan is often seen as the goddess of death…but she is also the goddess of fertility. So as the earth goes into its own death-sleep, she is the one planting those seeds of rebirth as it sleeps. I have seen her do the same in my life. As one vision dies, she is busy planting that seed for new visions….and giving me strength for the battle. I have found that the more I work with her, the easier it is to allow her to control certain areas and for me to take myself out of the picture. 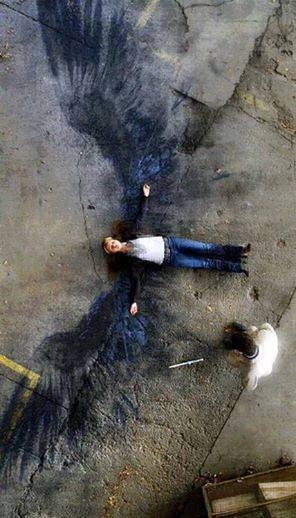 I had wings once, and they were strong. They could carry me above the clouds and into the headwinds, and they never faltered. Not even once. We allow the circumstances and people that come against us to steal those wings. We then spend more time grieving over the loss than seeking out a way to fly again. The Morrigan is that way of soaring. 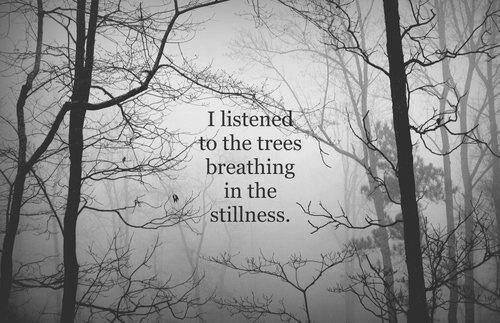 As Friz and I sat in the midst of the trees stripped bare of their foliage, I listened for the heartbeat of the universe around me. 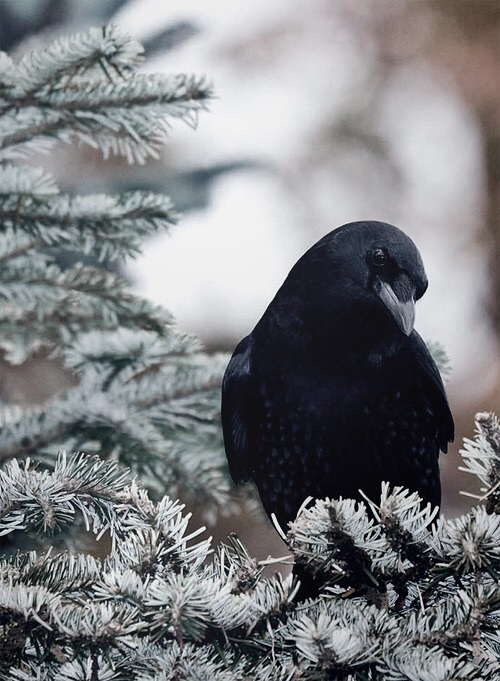 I was greeted by a crow caw…loud and coarse and crackled. I looked above me and I could see Mama Crow against the gray sky. There were three or four other crows with her…each cawing back and forth to each other. It reminded me of listening to my grandmother and her sisters gossiping when I was growing up. They would lean back and throw out their harsh, cracked belly laughs for everyone to hear. Strengthen me and those I cherish with the power to fight those battles that come against us head-on. Goddess of fertility, birth in us new visions and plant the seeds for new magick. Goddess of shapeshifting…help our spirits to transform into whatever we need to face our enemies. We stand ready to fight. While my eyes are closed, I hear the sounds of nature around me….birds and breezes, leaves being rustled by small animals. I open my eyes and and the air around me chills me to the bone. I notice that Friz has edged closer to the candles and the cauldron but still manages to stay covered in my cloak. In that moment, I feel like if I leaped toward the sky that a pair of strong, powerful wings would burst forth from my body and I would soar high above the trees. Mama Crow is still above me. I think I entertain her…but she has become accustomed to me. My heart is racing…my spirit yearns for its wings. Soon…very soon…I will fly beside Mama Crow. Let me start by saying that I love books. Books of any kind….my favorites are books that stir the imagination or cause one to think or fantasize. I love books that you can share with other adults…but more than that…with those witchlings that may be watching us as we practice the Craft. I think that is why I love one book in particular, this time of year. 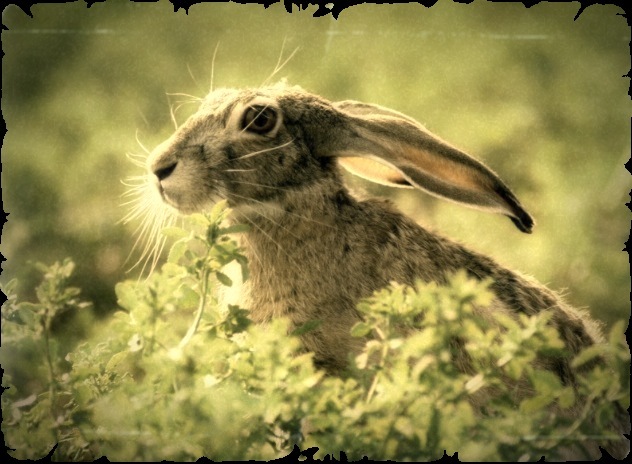 It is Edain McCoy’s Ostara: Customs, Spells & Rituals for the Rites of Spring. In this book, I was re-introduced to Ostara just as one might see an old friend through new eyes. It always helps me to go back at this time of year and see again what symbols and rites and other magick comes with this season of greening. 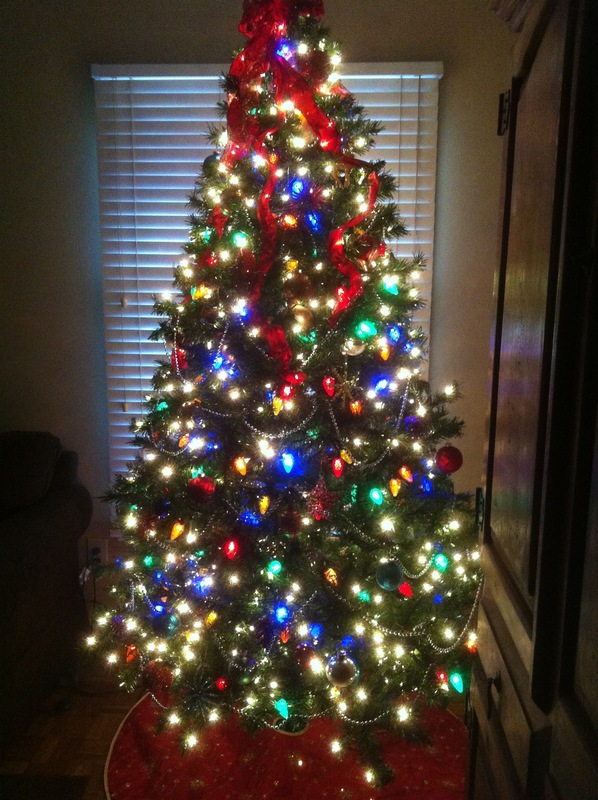 When I was a child, this time of year brought a renewed excitement for me. My family was never overly religious, so springtime always meant the arrival of the Easter Bunny and colored eggs was imminent. This, in my opinion was even more exciting than Santa. 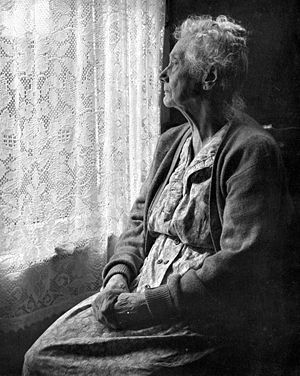 I was taught by my granny at an early age to smell the air and to feel the earth. She told me over and over again that I would always be able to smell the seasons changing and that I would know by the feeling of the Earth Mother’s belly when the birthing was going to happen. 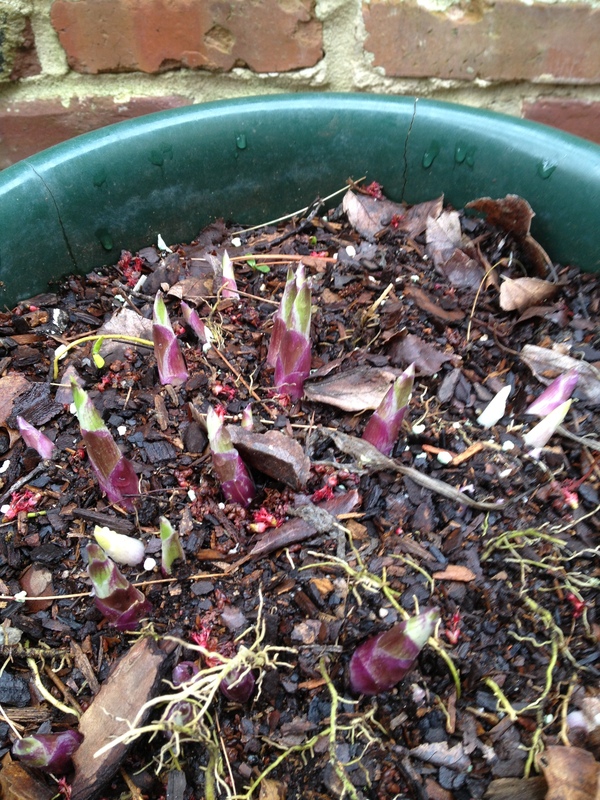 I learned early on to recognize the signs that spring was around the corner. I remember dragging granny out of the house by her skirt-tails to see the tiny green leaves on the hydrangea or the necks of the daffodils bent reverently…holding the heavy bloom that couldn’t wait to show itself. I remember the heady smell of hyacinth that hadn’t quite bloomed yet, but was so anxious to show itself that its scent preceded it out of the sheath. I finally finished putting my Ostara altar together yesterday. There were a few things I was waiting on. 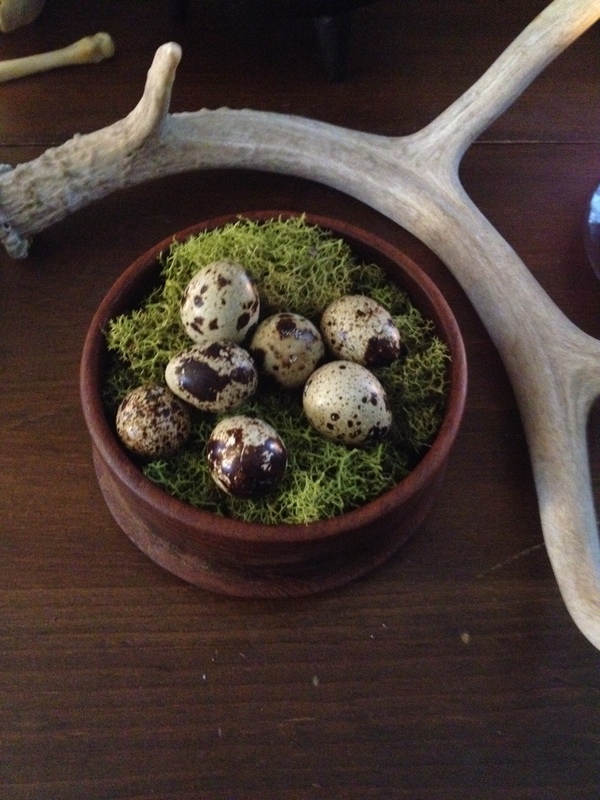 A friend had promised delivery of some blown out quail eggs and an antler. I was so excited to see the box sitting inside the courtyard Friday that I could hardly contain myself. I arranged some of the eggs carefully into a wooden bowl onto some lime green reindeer moss that I had and put the antler behind it. I pulled out two of my favorite lavender-colored candles that are scented with jasmine, put some of my favorite amethysts and other crystals around…as well as my ‘keys to success.’ I lit the candles and just sat in front of the altar absorbing the peace and power that flooded the room. Growing up, I remember the feelings that Easter stirred in me. Many times, we would go as a family to a local sunrise service given by one of the many churches in the area. One service that remains vivid in my brain was one called the ‘God/ Goddess of Creation.’ The service was done in the midst of a field and during the prayer we were all encouraged to close our eyes and take in the sounds and smells of creation around us. The service was presented by a female pastor who included the Goddess in all of her sermons….thinking back, I am quite amazed that my parents allowed us to stay and be a part of it…..and I also know that this was my first exposure to the thought that if, indeed, there is a God, that there must also be a Goddess. Needless to say, I took that and ran with it. I haven’t been feeling well this weekend. It is just a cold brought on by the change in seasons. I have lived the past few days hopped up on Alka Seltzer Plus Cold and Elderberry Tea. More than anything, it is just an inconvenience….but I have been sleeping in in the mornings. Last night around midnight, I felt the need to go to the woods. I have found that when the woods call, I have to listen. I sneaked out while everyone was just starting to doze off. I carried my flashlight and necessities. I could feel dampness moving in and knew that today would bring rainshowers. As I walked, I listened. I could hear a familiar crow caw. I think that city living has left Mama Crow’s inner clock a little tightly wound. 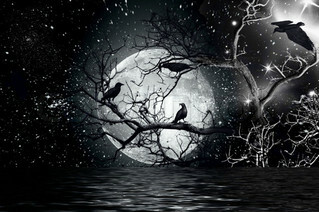 Then again, one of the names of this full moon is the Full Crow Moon. I love the different names that Mama Moon lives with. Humans will fight all day long over those names….I guess she really doesn’t care as long as we do call on her. 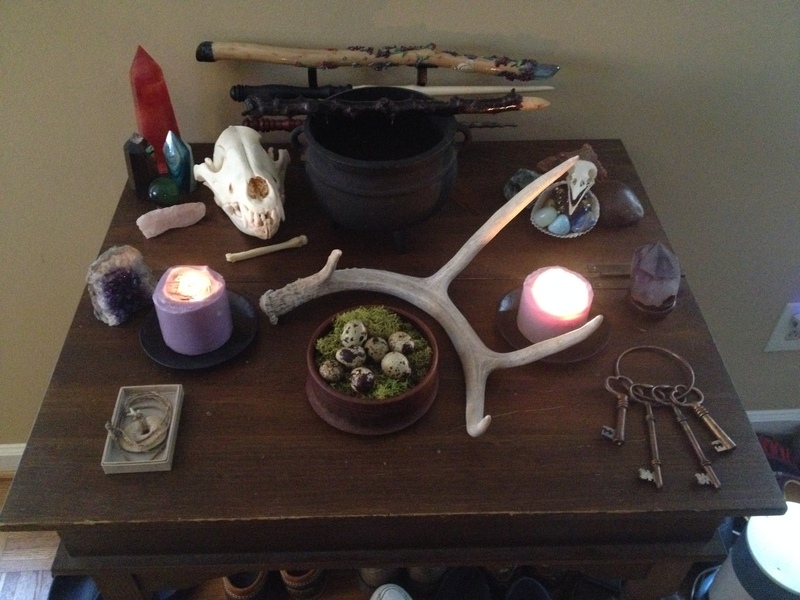 I got my altar ready….everything in its place. I lay down with my cloak wrapped around me, shielding me from that heavy feeling of dampness. I placed my hand tenderly against the earth. I touched…I listened. Oh yes….the Earth Mother’s belly is full to the point of bursting. The Lord of the Hunt started the preparation weeks ago. I lift my head and sniff like a scent hound on the trail of a rabbit. I can smell the earth ready to be reborn. I can smell the seeds ready to show themselves. The plants are excited about showing off their new spring collections. My preparations seem small when I think about the grand party that the Earth Mother will give to usher in another season of renewal. I close my eyes and listen. I inhale. It is as if I take in the breath of the Earth herself. I have been stressed in the past week. I have held onto things that need releasing. As I listen and breathe, I realize that I am holding onto things that need to be released. As I breathe out, I can hear Mama Crow in the background…laughing. She’s not laughing at me. She is laughing with me…she wants to share the joy that comes with release and rebirth and renewal. We, as humans, have become adept at hiding the things that make us vulnerable. We can’t let anyone see us in our weakness. The earth is so much more transparent. 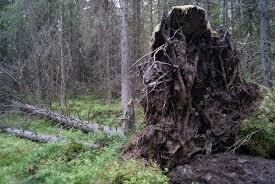 You can’t hide when a tree has been uprooted or cut down. That sparrow that died from falling during its fledging doesn’t just disappear. One thing that I have come to realize over the years is that when the root of the problem is hidden, so are the blooms from the solution….and yes there are definitely going to be thorns in between. There is so much inside of each one of us…potential waiting to bloom forth, but we have forgotten to listen for the signs of the birthing. We have stopped closing our eyes and just listening to what is moving around us. In my own life, I have found that it is now time to stop pretending and time to bloom. For me, that means no more letting myself get in the way of the power that is trying to show itself. It is time to stop making excuses and just move forward. It is time to let that which has been sleeping the winter away, wake up and lead me into darkness, light, dusk or dawn….wherever I will find the most wonderful, undefinable magick and utilize it. I have finally realized…Life is not about the “Once Upon A Time’s” and the “Happy Endings.” It is about the adventure in between. 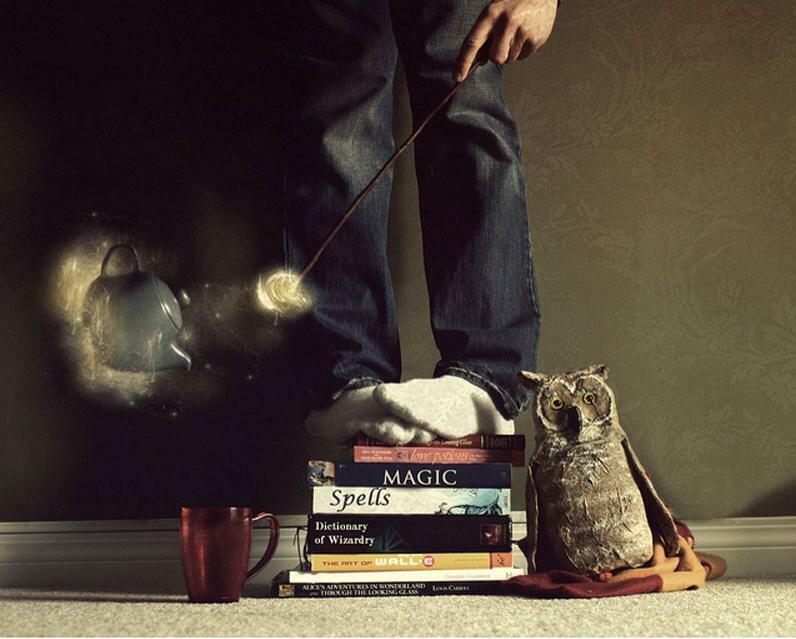 The alarm has gone off….it is time to wake up and be about the business of magick. I am not hitting ‘Snooze’ anymore. The Wheel of the Year keeps turning. It seems that just yesterday, we celebrated Samhain….then we watched as the world celebrated everything it was thankful for. 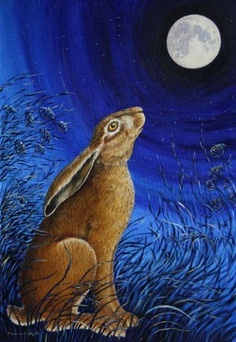 Now, we are looking toward the Winter Solstice and Yule. Our homes and altars are all decorated with greenery and pine cones. We smile to ourselves as we light the candles on our Yule log. We bake and we add more lights and we run to the mall and we run to the grocery store and we run to party after party. We stand in line at Target and find ourselves getting more and more agitated. “Can’t that cashier go any faster? Doesn’t she realize that I have a party I have to go to in two hours and that is not nearly enough time to get ready?” We give a slight smile to the person out on the corner collecting for charity. Do we put money in the bucket? Sometimes….but we have to keep every extra penny to buy gifts for friends and family. For the month of December, we forget to listen to the heartbeat of the earth. It may be a tiny bit more faint than normal, but the heart of the earth still beats. Yesterday, I went to the grocery store to pick up a few items. I hurriedly picked up the things I needed because, of course, I had plans for later in the afternoon and evening. I run with my cart to the cashier and I end up standing behind a little old woman who was standing there counting her pennies. I looked at the order in front of me, which included generic Ensure, a loaf of bread, cat food and bagged beans. Apparently, she didn’t have enough money and asked the cashier if she could take the Ensure off of the order. In that moment, my heart broke. I couldn’t stand the thought of this little old woman walking out of that store without everything she needed. I put my hand on her shoulder and asked her if she would mind me paying for her groceries and if we could go get a few extra things. I told her that she reminded me of my grandma and that I was missing her a lot this time of year. We went back through that store arm in arm and I could feel the earth’s heartbeat as we talked and laughed. My grandma used to love to go barefoot….even in the winter. She told me that the reason she loved being barefoot was because she was able to feel the Great Mother’s heartbeat better. I have found that to have so many meanings as I think more about it. It was in making a part of herself more vulnerable that she was able to feel the Great Mother stronger. I had to stop yesterday and see something outside of myself….be willing to feel the heart of someone else. I got up this morning and went to the woods….it was wet and cold. I could feel the breath of spirit on me as I led that little blue chihuahua through the morning mists deeper into a world that he and I have become so familiar with. When we cross the threshold into ‘our’ woods, we feel spirit, ancestors, animal spirits….we become lost in a time when magick danced through forests freely. We get caught in that energy and feel more at home than we do in our comfy cottage-like condo. I get everything set out as usual….skulls, candles, and herbs. I covered myself in my cloak in front of it all and rolled onto my stomach. I put my hand on the earth and my ear to my hand. I could feel the cold of the ground permeating my hand. In the silence, I could hear the breathing of my little blue dog…but more importantly, I could hear the heartbeat of the earth. As I lay there lost in the wonder and simplicity of this magickal moment. I committed, to the Lord and Lady, not to lose the lessons I have learned about this time of year. I lay there in silent meditation….opening my heart to everything that needed to be taught to my spirit. I heard Mama Crow and Wolf to the sides of me. I watched as wolf circled and finally laid down. Mama Crow landed on the ground beside him and nestled in his tail. I reminded by them both that this season is a time of rest before the regeneration. It is time to feed the spirit and heart. This is the time of year that the earth slows down. 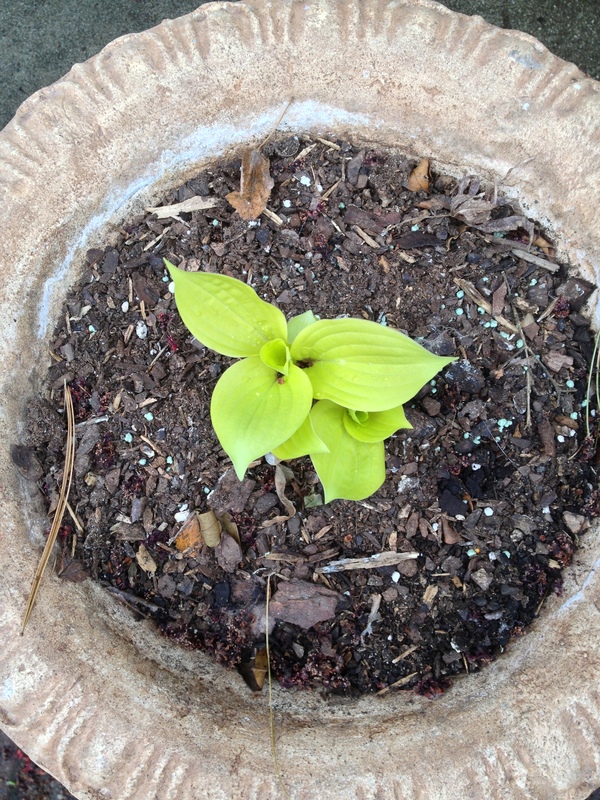 This is when the roots of the plants grow….when the plant produces the beginnings of the buds. This is the time of year when the internal work is done for the external explosion of spring. I called on the power of the elements and the Lord and Lady to give me heart and spirit to listen to all things around me. This is the time when temperatures plummet and animals seek shelter. My courtyard and surrounding areas are set for any that may need comfort from the elements. You will find boxes and blankets all over in anticipation of winter visitors. There are bird feeders and areas for the squirrels to eat….places for stray cats and pooches to dine in secret. I have seen other neighbors adding to the areas. There are people in need all around. I wish to walk in compassion this season. I wish to nurture kindness. 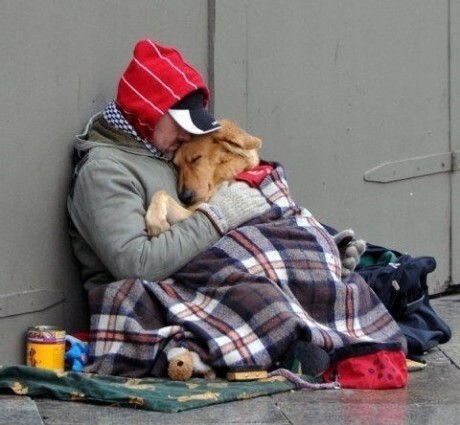 The homeless person sitting in the cold needs warmth…..coffee, a blanket. Starbucks here has a program going where you can give money for coffee so that if anyone who can’t afford it comes in for coffee, they can get it at no charge. If you want to jump start your heart…volunteer at a soup kitchen. Most of the people that show up are no different from you. The only difference may be a missed paycheck. It is time for us to “take off our shoes” and feel the heartbeat of the earth. My goal for this holiday season is to keep things simple, give more of myself, love with complete abandon, and let the magick happen around me. Blessed Solstice, Blessed Yule, and Blessed Be! 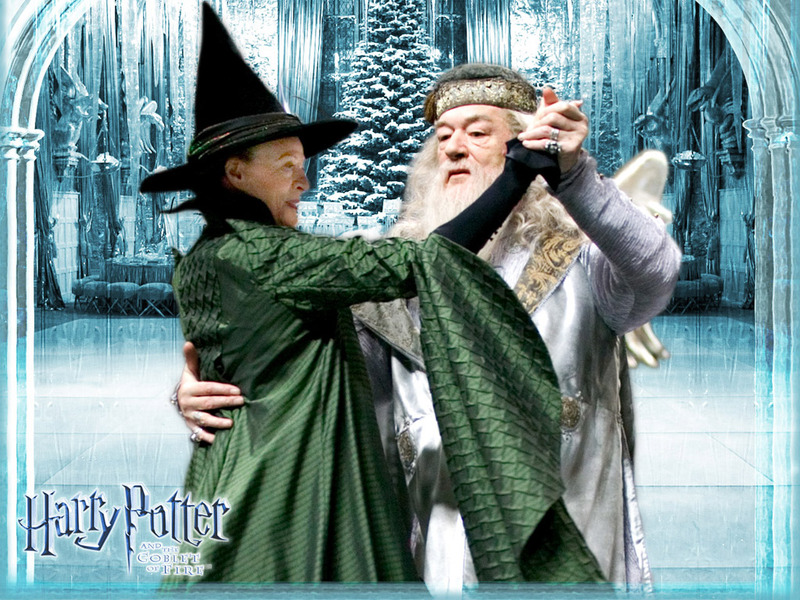 May you spend this holiday season dancing to the song that your heart sings! For as wonderfully warm as last weekend was….this weekend was wet, dreary and cold. Last week we welcomed in the Spring Equinox and the first day of Spring around here with a hailstorm on Monday and then flurries and sleet on Thursday, followed by umbrellas and jackets for this weekend. Now I can promise you that I am right up there on top complaining about the cold and damp of winter and then beating that same dead horse in the summertime as sweltering temps and water shortages typically hit us. My two favorites seasons are Fall and Spring here in the south, but with the way the weather has been over the past few years….the south seems to be going to a two season year…..Winter and Summer. Last year, specifically we went from the cold and chill of Winter directly into the blistering heat that Summer has to offer. Last night, I had gone to some friends house for a “card night.” Since I am such a night owl, we left at about midnight…knowing that the dogs would need to go outside one more time before bed. It was pouring rain the whole way home. As we pulled into the condo parking lot, the rain let up for just a minute…long enough to jet inside, harness up the dogs, and do a quick pee run. Afterwards, as I tried to snuggle into bed, I heard thunder start to roll. I knew what I was in for. As much as thunder relaxes me, it scares the Bejeezus out of the cats. I could hear the oldest trying to get one of the closet doors open on one end of the bedroom and watched as Merlin scurried under the bed. As I tried to calm them and talk them through the storm, I could see the terror in their eyes. They didn’t know what that noise was and they were sure it wasn’t a good thing for them. Finally, I got the old girl to crawl under the covers with me and Merlin was lying across my throat…that is how we drifted off. I got up fairly early with the dogs this morning and went for my usual weekend morning walk. Yesterday when I walked, I was thoroughly drenched. I did that walk by myself. That little blue chihuahua tends to like to just stand in the midst of the rain not moving. This morning, though, I harnessed him up and we walked through the courtyard for a few minutes before venturing out. 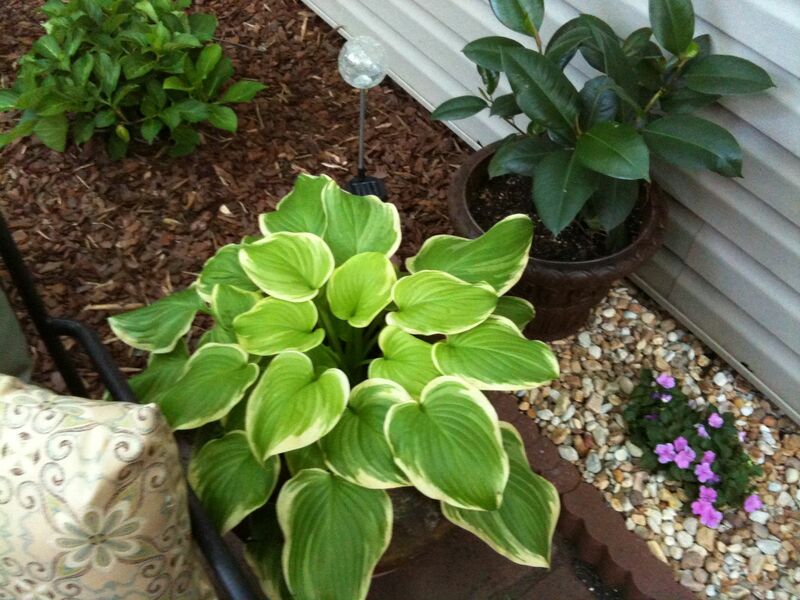 I saw my hostas jutting up through the dirt uncompromisingly. 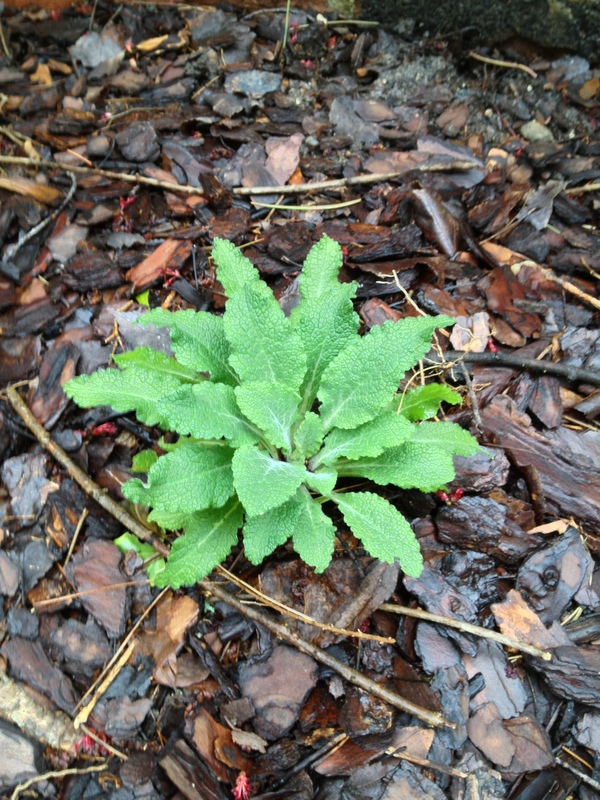 My foxglove stretched open as if to tell me that all she did was take a little nap and now she is ready to move out of winter. The hydrangeas purposefully greened up even more, as if overnight. I remember, as a child, watching ‘Frosty’s Winter Wonderland’ with my grandma. Parson Brown had to tell the children, Frosty and Jack Frost that winter couldn’t last forever. He was talking about the seeds and bulbs. He said, “Nature made them a promise…that someday they’d be pretty trees and flowers. Could you imagine how you’d feel if someone broke such a promise to you?” If you think about it, the oak tree is the promise Nature made to the acorn. As I walked around this morning taking in all the promises looming in the ground, I was encouraged. When we curse the snow, the cold and the rain, we forget that all that is necessary to create the Spring. We get so frustrated when the weather…the seasons don’t go the way we planned it….but we forget that the Great Mother has had it all planned since the beginning of time. We mourn a few frost bitten blooms when winter shows it last flash of teeth….”Oh my poor flowers…oh my poor tree…they were just starting to bud…now because of the cold snap the blooms will die.” Maybe there was a purpose in it….maybe those buds and blooms weren’t going to be strong enough to begin with. We begrudge the Great Mother when she needs a little extra time to make things just so…but we don’t think a thing about burning or uprooting a grove or forest of trees for the sake of progress. I live in a concrete jungle. I see green space disappear every day to make space for condos and businesses. Goddess has given me a space here in the city that I can call my own and that I can help ‘green up.’ I am her human assistant in nurturing these plants and her helper in taking care of those outside critters. It has now become second nature when I feel a chill in the air to set up stations for the outdoor animals…to make sure they have access to food. I walked back into the courtyard to finish my pseudo-coffee (decaf) and to read a bit. I glanced at my witches grass and saw a spiral starting to peek out from the gravel beneath it. I got to thinking about something. The Great Mother made a promise to all those seeds and bulbs and plants….but she also made a promise to me. There are things that have been growing and moving and swirling around the insides of me all winter long too….what happens to those? Do I let other people discourage me and kill off those budding promises? Do I let my own self doubts pluck the leaves of expectation off and throw them away? Do I let the drought of my own fears wither away the blooming of things never before surfaced? I don’t think so! There is too much brewing inside of me to let it go to waste….just as I am sure that you too have way too much brewing to watch it wither. This spring is going to be phenomenal!!! When that final wisp of cold breath of winter is gone, the Great Mother is gonna have a field day….and you just watch what she is capable of! Same with me…..you just stand back and watch….I am capable of so much more than even I imagined!